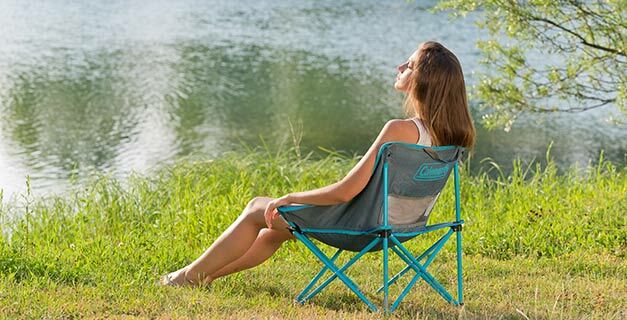 Sit back and take a moment to unwind in a Coleman Kickback chair. Compact and convenient, Kickback chairs feature a strong and sturdy powder-coated steel frame. Ideal for the beach or relaxing at a campsite or festival their compact size also makes them easy to transport and store. Supplied with a handy carry bag, the colourful chairs offer effortless storage and transportation.